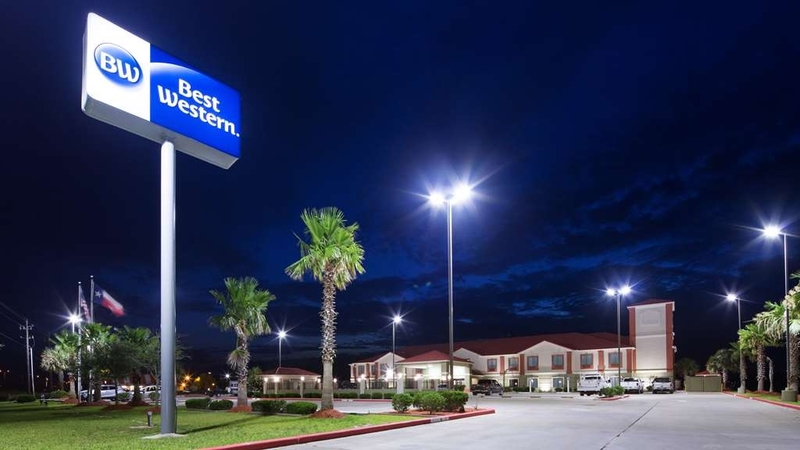 El Best Western Lone Star Inn se encuentra en el centro de Edna. Venga y disfrute de las mejores atracciónes turísticas cerca de nuestro hotel. Precios bajos garantizados y ofertas exclusivas. Disfrute del sol de Texas en el cercano Lago Texana, situado a poca distancia en auto de nuestro hotel de Edna y el lugar perfecto para refrescarse practicando pesca, natación o dando un paso en barco. Los huéspedes que se alojen en el BEST WESTERN Lone Star Inn de Edna podrán sacar el máximo partido a la fantástica naturaleza local en el parque de recreo de Brackenridge. Independientemente del motivo de su viaje hasta esta ciudad, aquí podrá encontrar lo que busca. La piscina al aire libre y la bañera de hidromasaje le permitirán tomar el sol o disfrutar de un baño sin tener que desplazarse. No obstante, es importante comenzar cada mañana de la manera correcta. Es por ello que nuestro hotel ofrece un desayuno caliente completo tipo bufé con gofres calientes, bollos dulces, magdalenas, fruta fresca, yogur, cereales, café 100% Arabica y varias clases de jugos. Los huéspedes en viaje de negocios escogen nuestro hotel de Edna por su magnífica ubicación. A solamente unos minutos podrá encontrar Formosa Plastic Corporation®, el Hospital del Condado de Jackson, varias plantas petroquímicas y yacimientos de gas y petróleo. Si se encuentra aquí en viaje de negocios para visitar los juzgados del condado de Jackson, los yacimientos gas y petróleo o alguna de las otras empresas de la región, podrá disfrutar de un cómodo acceso desde nuestro hotel. Con amplio espacio de estacionamiento para camiones y caravanas, el personal de nuestro hotel de Edna estará encantado de recibir a trabajadores del sector del transporte por carretera y viajeros en coche o caravana procedentes de todo el país. Disfrute de acceso gratuito a Internet Wi-Fi desde su cómoda habitación, lo que le proporcionará la mayor comodidad a la hora de planificar las actividades deldía o consultar su correo electrónico. Antes de visitar el circuito de Texana o el Parque Estatal de Texana, nuestro cordial personal estará encantado de proporcionarle todo tipo de sugerencias y recomendaciones para que pueda aprovechar al máximo sus vacaciones. Los paseos en barco, la pesca, la caza, las carreras y los rodeos locales son solamente algunas muestras de las actividades que convierten a Edna en el destino perfecto para sus vacaciones. Todas las habitaciones cuentan con ventiladores de techo además de microondas y nevera para su mayor comodidad. ¿Se encuentra aquí para disfrutar de una estancia prolongada? Los huéspedes se sentirán como en casa, especialmente gracias a nuestros suculentos desayunos con especialidades norteamericanas servidos cada mañana. 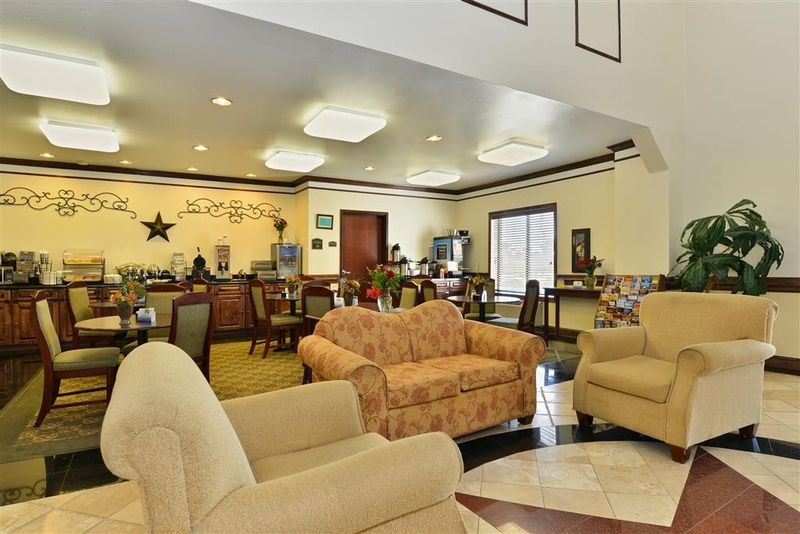 Reserve su estancia en el Best Western® Lone Star Inn. Disfrute de su estancia en nuestro hotel. The people that run this place are the rudest people you will ever meet!! No one went out of there way to help accommodate. They were even rude when we asked for an extra blanket for my mother! I will never stay at this place again! Great hotel! Everything was clean and beautiful! The staff was super friendly and helpful! Although Expedia totally messed up my reservation, Gorgia, who works at the front desk was super helpful! Thanks a bunch! 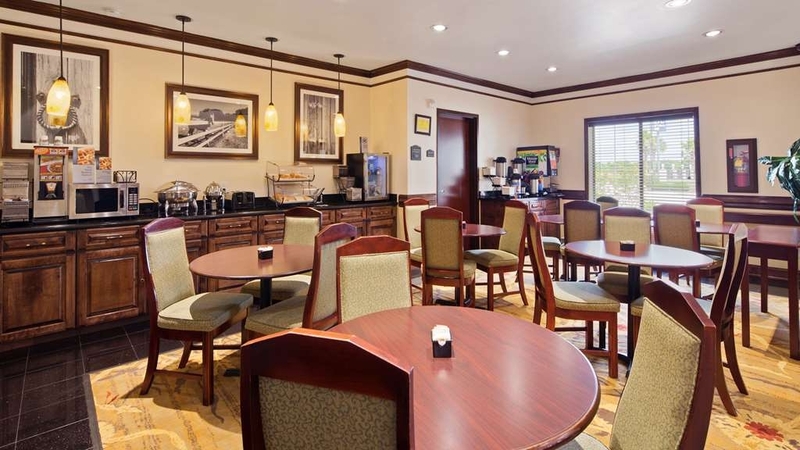 "Best Western Lone Star Inn"
Clean rooms and surrounding, good service at front desk, guick check in and check out.Free breakfast was really good, clean dinning area. Employees helpfully and very polite. Easy access to and from freeway. Ill go back. 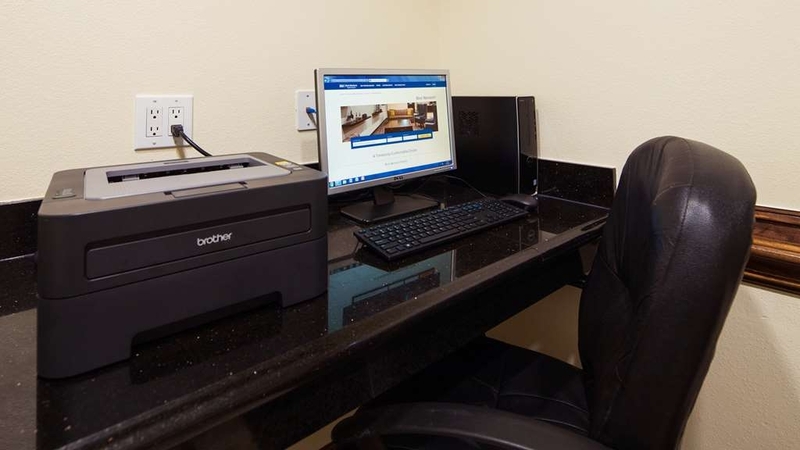 "Easy check in and clean rooms"
After driving a long distance, I was pleased to check into the Best Western Lone Star Inn in Edna. I was in town on business, so the Inn was conveniently located. I was also pleased with the restaurants in the area. My company's employees stay in Best Westerns and other chain hotels all over the country and NEVER once was charged when my crews would check out early. Never once upon making Reservations was that ever mentioned about the “cancellation charge”. Tried a couple times to get Georgia the day manager? To credit back those charges and was told that is the hotels policy. Not only that the hotel also charged up for two days our guys weren't even there on top of the cancellation charge after they checked out two days early. After 2 phone calls to the location and finally a phone call to BW customer service the two overcharges were credited but not the cancellation charge which essentially is the price of the room for one night. My advice is if you have no other options to stay in the area and you must stay here only book for one night at a time otherwise you could end up paying for a cancellation charge. As for my company we are in that area a lot and have need of hotels but will not use this location again unless the check out early cancellation charge policy is waived. We want make it right and make sure that we answer all your question pertaining to reservation. Call us at your earliest opportunity so we can resolve this matter. We do not have any Manager named, Ray, you may have stayed at other hotel. Call us at the hotel so we can resolve this if you feel otherwise. If I could give this experience a 0/5 I would. HORRIBLE PLACE DO NOT STAY. LGBTQ's stay clear. I made this reservation via Priceline.com and wish I could go back in time. I showed up and checked in with the Manager of the hotel (His name is on the wall on the office to the left.) He found my reservation hand written on a piece of paper. Then proceeded to check me into my room after shipping my card atleast 10 Times and keying it in as well. We leave and come back later on after a rehearsal dinner to find that this hotel locks the front door so that you cannot get in without a card. We saw the two ladies at the front desk and they just watched us without helping us until we found the key in my pocket and then watched us walk upstairs. My partner and I got to the room and the key didn't work and were no longer able to enter our room. So I walked down by myself to get a new key thinking i put it next to my phone or something. As soon as I got down there the two ladies told me, "um that room only has one bed" and gave me a bad look. I said, yes. She then proceeded to tell me that I should've checked out the previous day, to which i replied that I had just checked in 4 hours prior. She then told me that they had rented out that room and the customers told them their was stuff in the room, so management went up to the room and cleared the door so that my key no longer worked. I then was told that she couldn't find my reservation and they didn't try very hard at all. I remembered that they guy had found my name in a notebook about three pages back and that it was in there. The notebook was sitting right in front of their face and neither had looked in it and I showed it to them. Then they asked if I had signed any paperwork and I told them that I had and that he swiped my card and everything. Then they finally decided to give me another key to the room. After arriving back into my room they lady called us because she didn't think we were staying two nights and wanted to know my name again and about the papers I signed when we checked in. I made a request for priceline to check in and talk to this hotel and the hotel responded with "nothing was taken out of the room and they stayed the two nights, so we are not going to do anything" Im sorry but I find the comments and actions of this hotel to be horrible, and would make sure everyone knows not to use them in the future. The fact that other guest and managers went into my room was horrible! Georgia was so awesome to help us with checking into our rooms.We needed to change to queen room instead of king room. 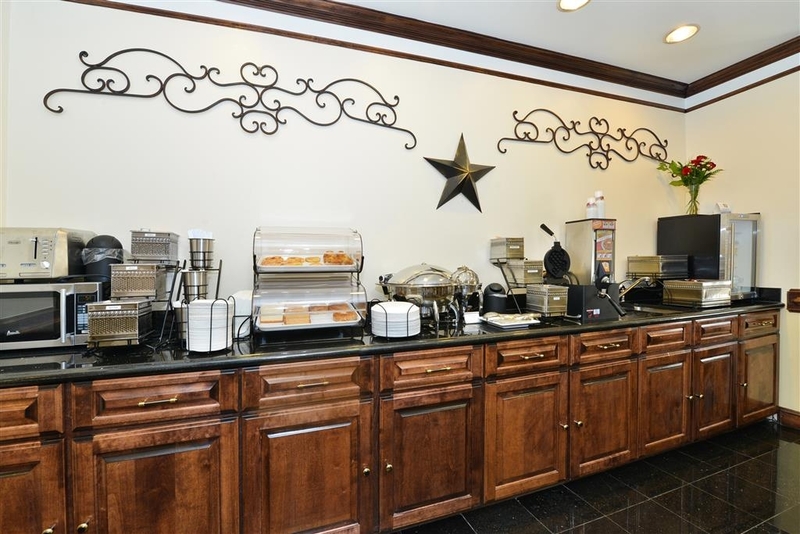 ( reservation was original made online)The room was very clean and the bed was wonderful after a long day of travel and graduation activities.The breakfast was very complete, more than just a sweet roll and coffee. I made a reservation 3 weeks in advance using a current credit card. When I checked out I used a different card. The hotel double charged me. I called them about it and they said that someone else stayed in my first reservation room and I had to pay for both rooms. Is that fair..I don't think so. I will never go back. Be very careful with this staff. We want to make it right , we are trying to reach out to you so we can quickly resolve this issue, call Ms. Georgia (hotel Manager)at 361-781-0500; asap. 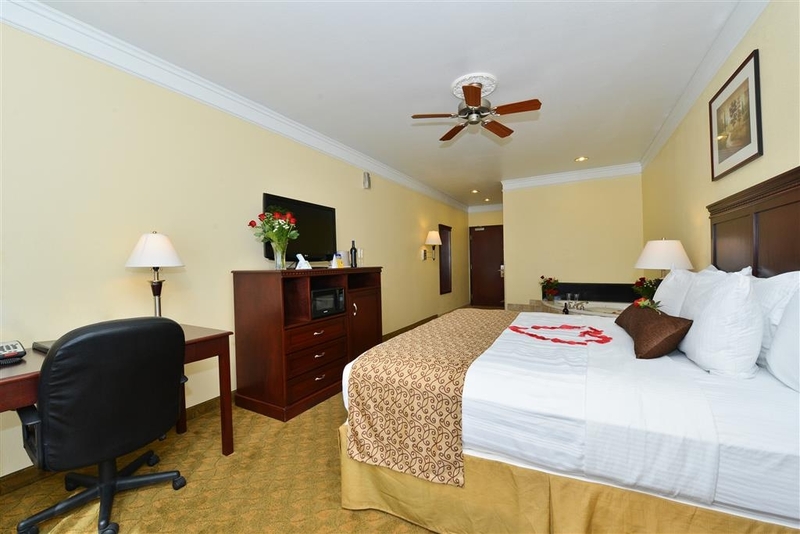 Hotel record indicates that one of your worker used your reservation for that night and you authorized him to use your reservation and you stayed with us the following night and therefore, there are two room nights charges. Hotel did not charge DOUBLE. When you make a reservation you cannot check out early - per Front Desk Manager you need 24 hour notice if your travel plans change - hotel will charge you for all the days on your original reservation if you check out early. Dear Mr. Tarnow: We want make it right, please call us at hotel so that we can help to resolve this issue for you. Your reservation came through third party and Hotel has limited option. Next time, please book your reservation through us at hotel directly or Best Western International web site so that you get the lowest best rate and do not have this issue again. DO NOT STAY HERE! I wish I could give this zero stars! We were going to use this hotel and block off rooms for my wedding which is 10 months away! They gave us a discounted price if we signed a form that guaranteed at least 10 rooms would be reserved. So some of our guests started booking rooms and then they decided that 10 rooms is not enough to give us a discount, so they went back on their agreement and said they could no longer give us a group rate! This was AFTER guests had started booking rooms! I hope they know that there was going to be many many more than 10 rooms booked and numerous people were staying at least two nights! Yall missed out on a lot of business Edna Best Western! Management is awful here! We want make it right, please call us at hotel so that we can help to resolve this issue for you. Two adults and a couple of children stayed her on the weekend of 12/9/2017. Worst hotel experience in quite some time. After check-in, we promptly notified the front desk that shower in the room was completely non-functional (it would not work at all) and could we please change to another room with a functional shower. Not only were we told that we could not change rooms, but a trip to the front desk to discuss it and walked into booked guests having heated discussion with hotel staff about not being able to get a room because the hotel was overbooked and now the room these people reserved didn't exist. No one would come to our room and look at the shower or try to get it to work. When we tried to take sit down baths, the water spout only put water out at a trickle and the tub would not hold any level of water because the drain would not seal. 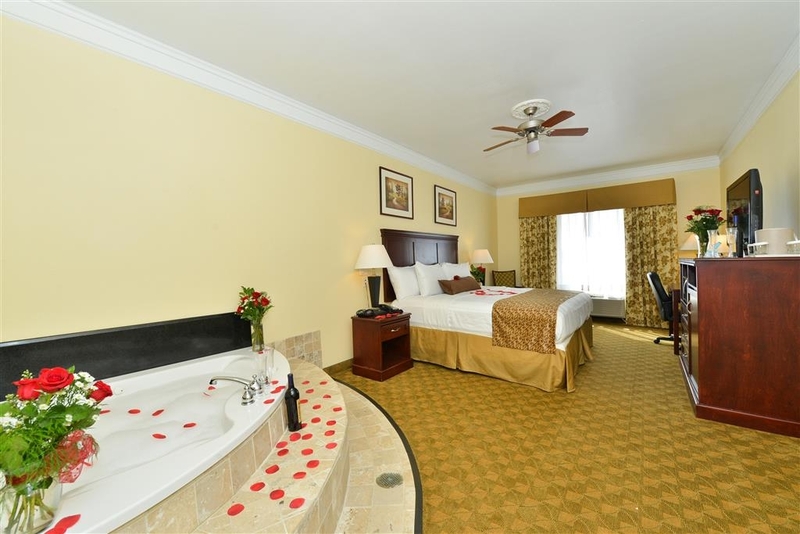 The staff would not bring us additional washcloths and towels to use, even with the faulty shower issue in the room. The continental breakfast we paid for with the ridiculously high priced room closed down before we even got downstairs. I was assured that a credit would be issued to part of the cost of the room due to the non-functional shower. This did not happen at checkout. When I called on 12/12 to follow up on a credit for part of the cost of the room, I was told basically that the shower was just fine and was never malfunctioning and we would not be issued a credit for even a portion of the cost of the room. Furthermore, not only was I not allowed to speak to a manager, but the employee refused to even provide me with the name of a manager. Terrible hotel experience at the grand expense of $176.27 for a plain, simple room with 2 queen beds, no amenities, NO SHOWER, NO SERVICE. Will NEVER stay here AGAIN and recommend any future guest think twice about giving this place your business. We are sorry to hear that we did not meet your expectation. We make every effort to meet every guest satisfaction. I would love to discuss your matter, if you could call me at your earliest convenience. My contact number is 361-781-0500. This was a one night stop. Fresh and new. The breakfast is ordinary. The price is slightly high for the area. We stopped here to worship at the United Methodist church. Easy access and parking. I would stay here here again, if we get to the area. Thank you, Cral_retired, for your recent review of our hotel. We always like to hear that our guests enjoyed their stay. 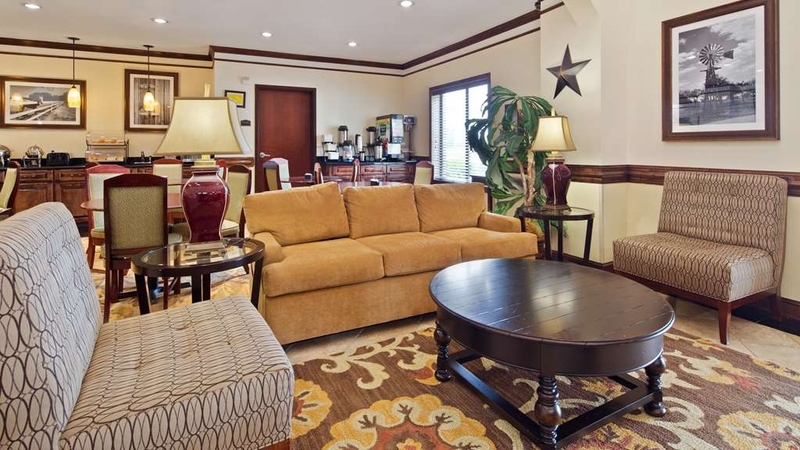 Please to not hesitate to visit bestwestern.com to book any future stays for best rate options. We look forward to serving you again! Worst experience ever at any hotel in my entire life. From desk staff to room funky smell and didn't offer to switch rooms, had to ask and was given lame excuse as to why we couldn't switch. So called breakfast ended 1 1/2 early than advertised. "Will not stay again at this rate." I will not stay again at their outrages rates. $163.00 per night When I should have gone up the road 15 miles at a Best Western and pay $84.99 per night. The rooms and staff were great. As far as location it is right of the highway. Thank you for taking the time to review our hotel. 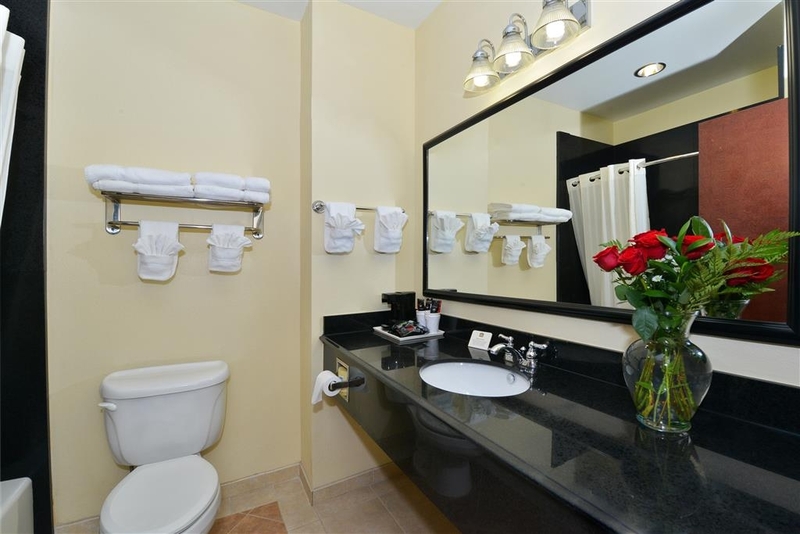 I do apologize you feel the rate was too high for your stay, but our rates are driven by occupancy and availability. When a hotel is nearly booked the rates are driven up. I am happy my staff was able to properly care for you and provided you with the best customer care possible. This is a very small town but the Best Western hotel here is wonderful. 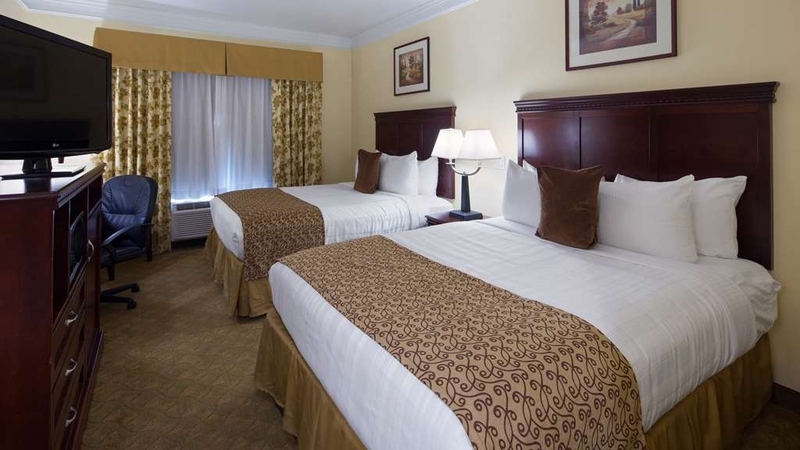 The beds are extremely comfortable and the staff is always nice. I've stayed here several times while attending family reunions and this is the top pick of everyone. Thank you for taking the time to review our hotel. We appreciate your loyalty to our brand. It is always a pleasure to serve our guests and we strive to provide the best customer care in town! We look forward to having you again. Hotel was nice, and I would have given a great review except I was hit with an incidental charge for nail polish spilling on the bed spread. I didn't even have NAIL POLISH with me. I explained to the manger there must have been a room number mistake but she would not budge because apparently no one that works for her ever makes mistakes. If I would have spilled nail polish I would have mentioned it at check out and gladly paid the fee. But instead I was called a liar and I'm stuck paying a bogus charge. I guess the property in Edna, TX doesn't get enough business so they rip people off for more money. I'm sorry you feel there was an error, but a bright neon orange stain was evident upon check out. I would never call anyone by such adjectives especially my guests, but I never clearly stated it was in fact nail polish. I am certain we all make mistakes from time to time and I am sincerely sorry I had to uphold our policy for damaged/stained/missing inventory but I assure you there was no mistake here. The pool was broken, and there was no gym facility as advertised. The rooms and breakfast was average at best. The reception clerk was rude as well. We would never stay in this hotel again!!! 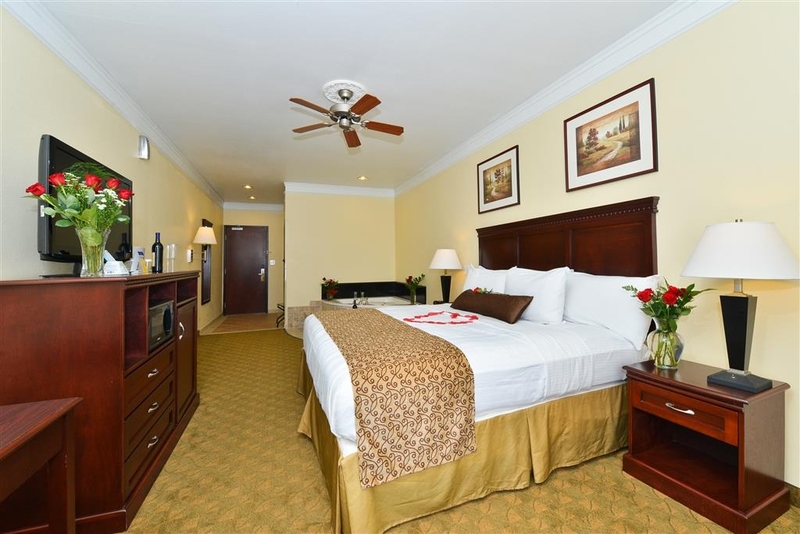 The only reason we chose this hotel, is because it is one of the very few in the area. Apparently, having a corner on the hotel market gives you the right to treat your customers badly. I do apologize for any misunderstanding you had when you booked online, but we do not advertise nor do we have a workout facility. My staff did cancel the second night without penalty due to the pool being out of service. Unforeseen circumstances kept our pool closed during your stay and we are deeply sorry for this. 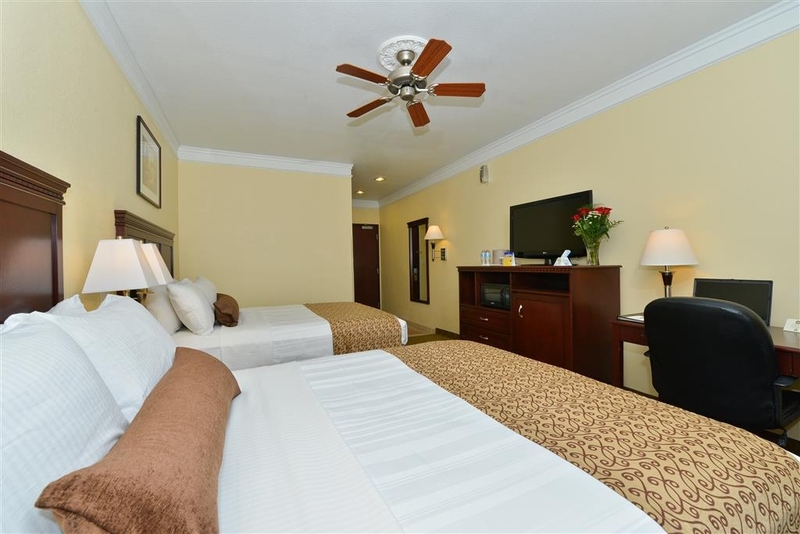 Guest safety is our utmost concern and we strive daily to ensure the best quality stay. 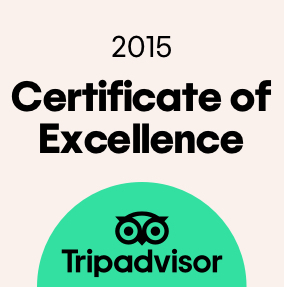 It is unfortunate we could not provide you with the best experience possible. I see you were given the military discount for your stay and I want to personally thank you for your service. Hotel pool was not functional in June and they could not say when it would be fixed. Room was fine but had overspray smell from room freshener. 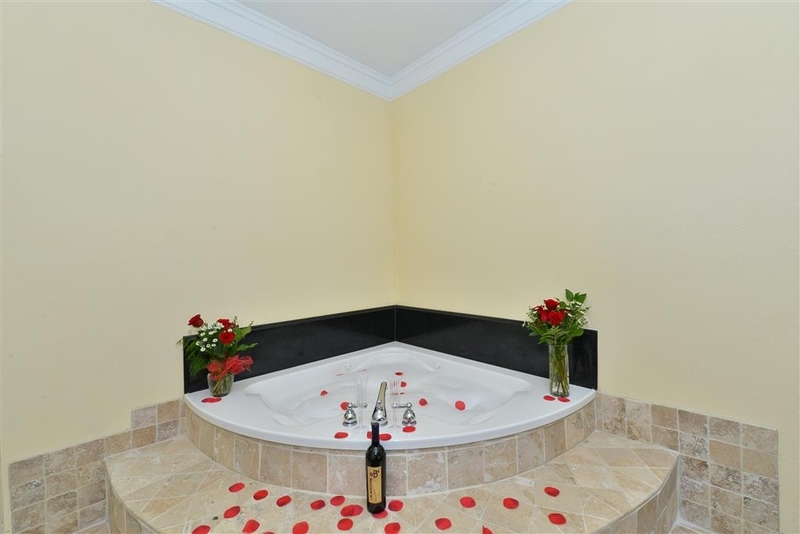 Hot tub in room but would not hold water as drain plug leaked and would not seat. Had to keep water running at a slow pace. Still the best place to stay in Edna. Excellent staff with friendly attitudes. 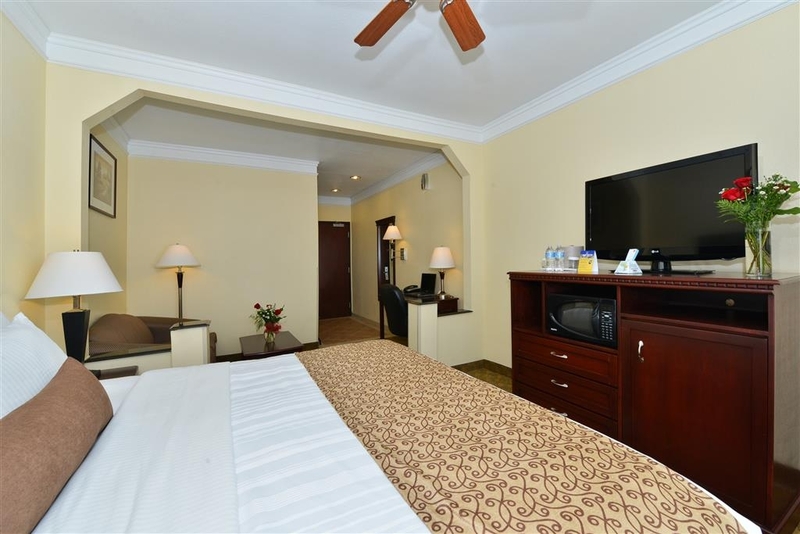 Richard P Thank you for your recent review of our hotel. It is true and honest reviews like this that help us provide the best customer service possible. 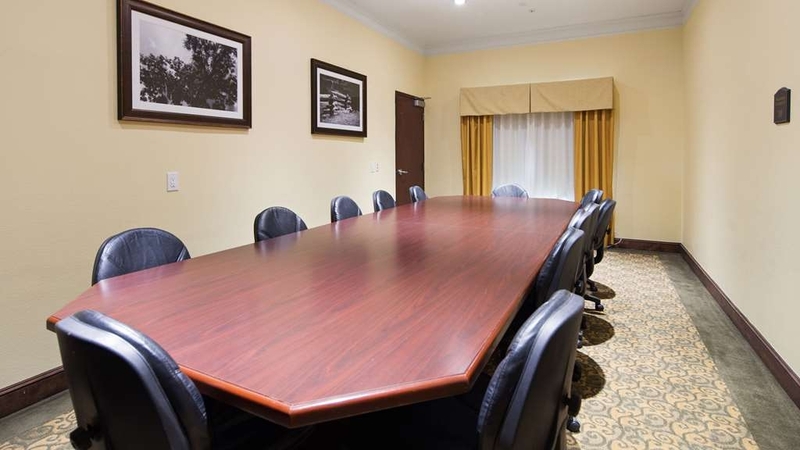 By addressing individual room issues I am able to isolate and fix the problem in a timely manner. I am truly sorry the pool was out of service during your stay. We have taken painstaking measures to get it up and running for all of our guests. Again, thank you for taking the time to submit an honest and helpful review. I really appreciate it and look forward to having you as a return guest. Thank you, joe308, for your recent review of our hotel. We always like to hear that our guests enjoyed their stay. 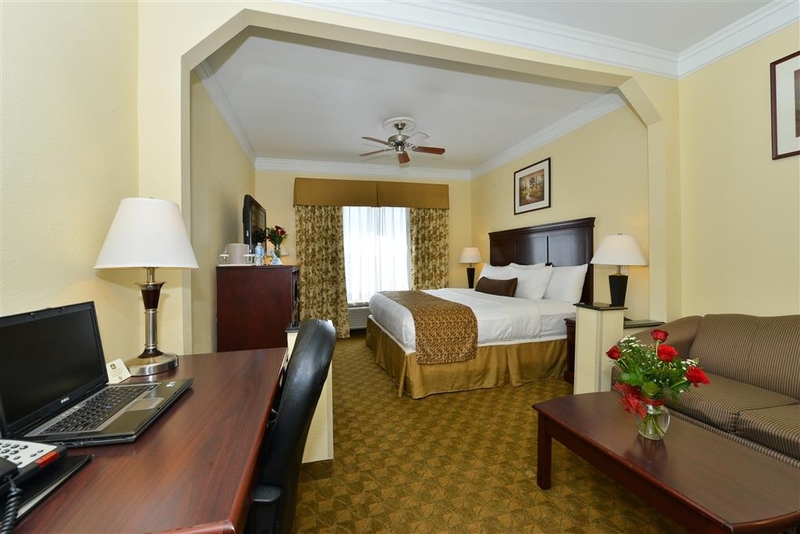 Please to not hesitate to visit bestwestern.com to book any future stays for best rate options. We look forward to serving you again! I don't write many reviews but the friendly customer service I got from Linda R. sold me on this place and will bring me back. She adjusted my room location and overall arrangements when I arrived per my request. She also helped me make arrangement for another employee of mine for a long term stay. The day staff greeted me each morning......attitude counts! Clean place too. Richard P, thank you for your recent review. As a manager, it pleases me to know my staff took care of all your stay requests and you had excellent customer care. We always like to know when we've done well. It is my hope your long term employee will continue to receive the same level of care. Again, thank you for taking time out of your day to let us know how we did. Needed a room on short notice and was glad I chose this hotel. The staff were very helpful and professional. The rooms were very clean and best of all, no smoke smell anywhere!. 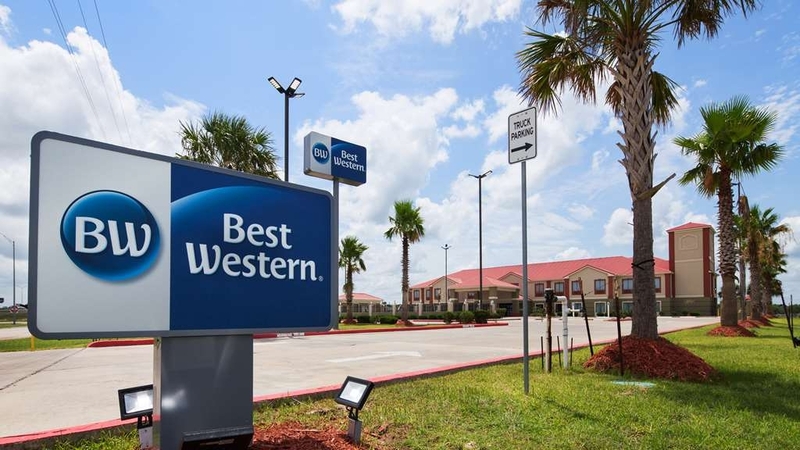 If you find yourself near Edna, Texas, you won't regret staying at the Best Western. Thank you for your recent review. 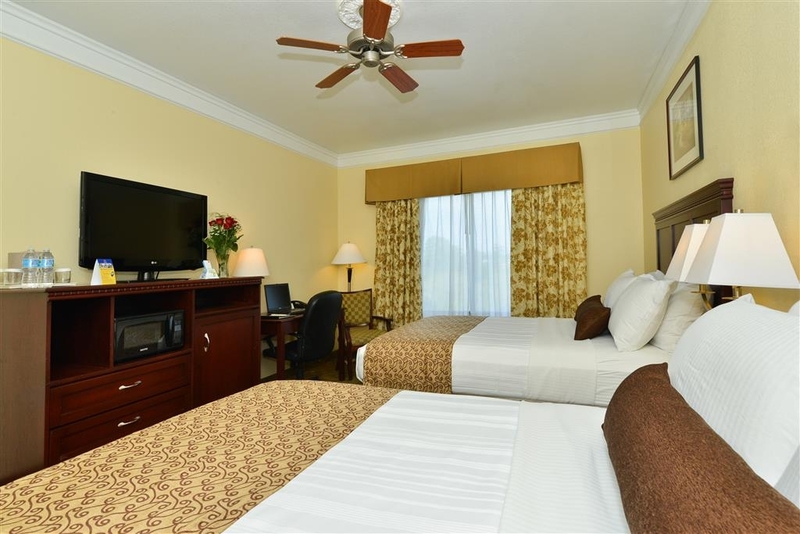 We are always happy to accommodate our walk in guests and are excited you enjoyed your stay. We hope you will spend time with us again on your next trip to Edna. 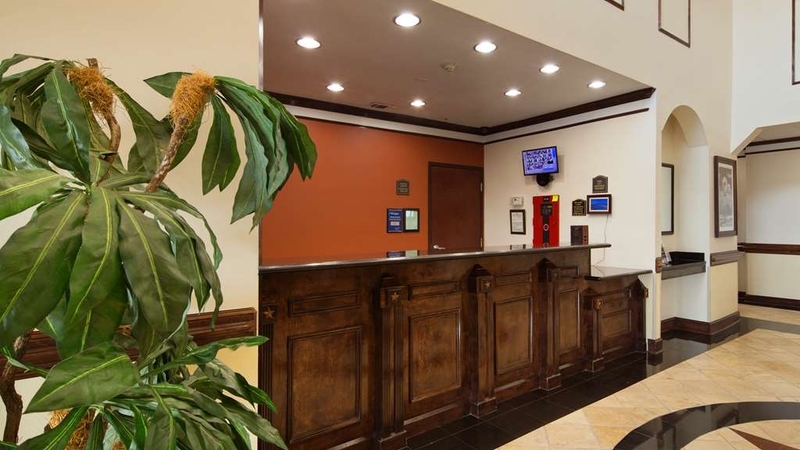 Please visit bestwestern.com for convenient reservation options that make check in a breeze. "WATCH YOUR CREDIT CARD & REVIEW YOUR BILL BEFORE YOU LEAVE!" I was told the charge made to my credit card was $153.67 (including $135.99 room rate and taxes) upon check-in. After I checked out, I realized they had charged an additional $10 child fee to my acct. Upon check-in I was asked how many adults would be staying in the room - I answered 2. I was NEVER asked how many children or told I would be charged for a child. Best Western website states All Children under 12 years of age stay free at ALL Best Westerns in North America. My son is 4 years old!! I called hotel manager. She agreed charge should not be on bill, but cannot "credit" my credit card back - offered a $10 credit to stay at hotel again. I WILL NOT BE STAYING AGAIN!! I want my credit card to be reimbursed for the charge. If she can charge my credit card, then she can credit a charge that wasn't supposed to charged back to my credit card. I'm pretty sure it's illegal to charge unnecessary charges to someone's credit card and then not be able to credit it back and just offer a "spend more money with us" credit on your next stay. I should have listened to the other reviews on this hotel -- sounds like I'm not the only one they "sneak" charges onto. Once again I had a very nice stay at this location. The staff at check in was super friendly and recommended several good places to eat while I was in the Edna, TX area. I will be looking forward to staying here in the near future. "Watch your Bill...Take the Front Desk Clerk with you when you check out"
I was charged $25.00 for a missing towel, just like the other reviews...If you have no other choice, but to stay then I highly recommend that you take the front desk person with you to the room during checkout, because they can charge your card and there is NOTHING you can do about it. I called customer care (Nothing), the manager at the hotel(Nothing).. I even called the police to see if I could file charges since they stole $25.00 from me for falsely accusing me of missing towels, but they said that was a civil matter not criminal. Seriously the Best Western Corporate office will do NOTHING! I don't even know why they have a Customer Service Department. You have NO ONE on your side. There is NO customer service. "Best hotel in Edna, Texas!" We have stayed at the Lone Star Inn quite a few times in the last 2 months. The rooms were very comfortable and clean. Linda went out of her way to make sure we had everything we needed each time and couldn't have been nicer. 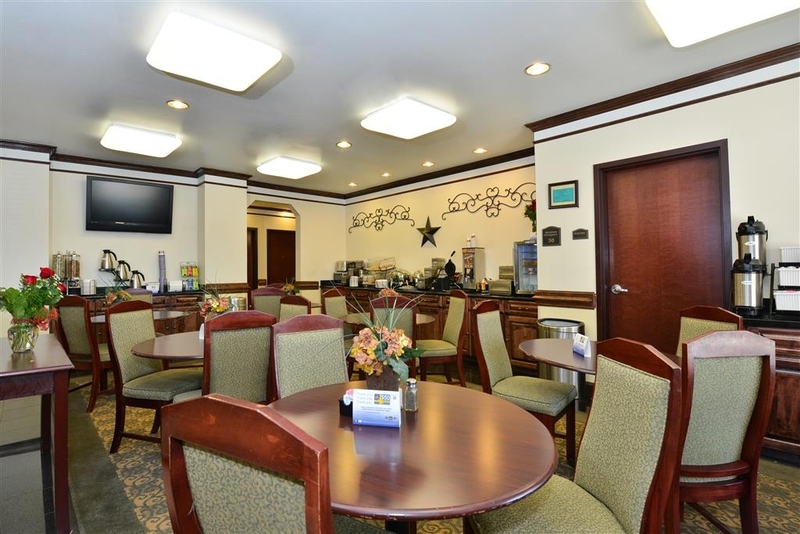 "Great Stay in Edna, TX"
This location has one of the best duty manager Rebecca on staff. Her professionalism stood above any that I've been around in years. I travel on business and for leisure on many occasions and the level of service I received at this location was better than any I've had in years. "Don't miss this hotel !!!" "Great staff clean nice place"
The staff is great. mrs linda makes a great breakfast i was on business and was really impressed how clean and nice the rooms are a great place to stay and had great rates i would definitely stay again. Along Highway 59 there are a few BW properties, but this one is located where you might not expect to see one in the small town of Edna. Curious as to where the name Edna came from? 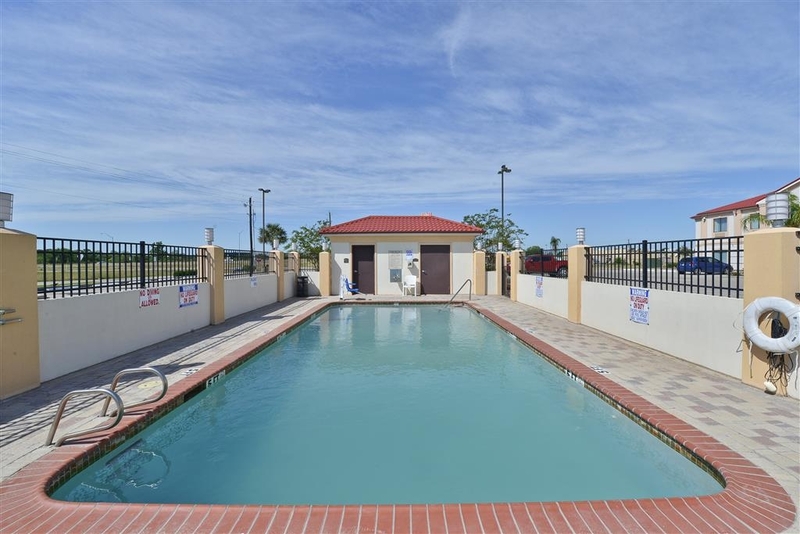 Not too far from Houston and a short drive from Victoria near Wal-Mart, and Whataburger with a pool, nice well kept property with nice folks in charge of your requests for a room and services. I managed to shut door with key in room ( was fully dressed, not like nightmare in movies) and was not met met with rolling eyes or some other non-flattering comment but just a smile and a quick replacement of the original. 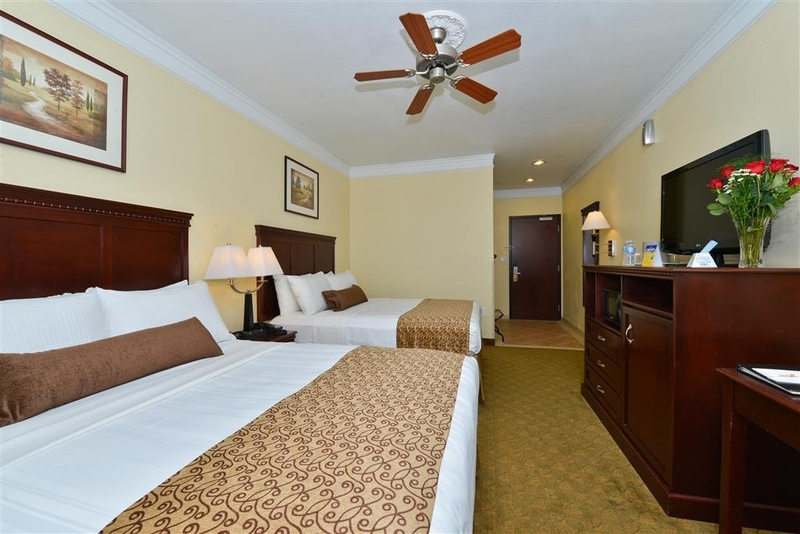 All parts of my stay were comfortable, nice linens in bath and plentiful, very comfy bed, large TV, spacious with small version fridge, clean, and a ceiling fan to help move air in room, no questionable smells but upon entering a clean fresh scent throughout, a non-smoking facility (nice). Some fringe areas starting to show some aging but not prevalent, places like entry to elevator, and edge of some hallway carpets, not enough to complain about anything. The vending machines were fully stocked, ice machines in clean working order which at times seem to be overlooked at some locations. The only thing that got my attention in the negative was the high asking price for room. I did not see anything so extraordinary that would constitute $135.00 rate, but these are independent businesses that can place their rates at whatever level they would like. I will not condemn anyone for their independence. It is a nice place, stop in and stay, it will not disappoint! Thank you Howard A for your recent feed back regarding your stay with us. We are delighted to know you had a wonderful experience and want to take a moment to thank you for taking the time to resond with such a well highlighted critique. We look forward to being able to serve you any time you are in the area! 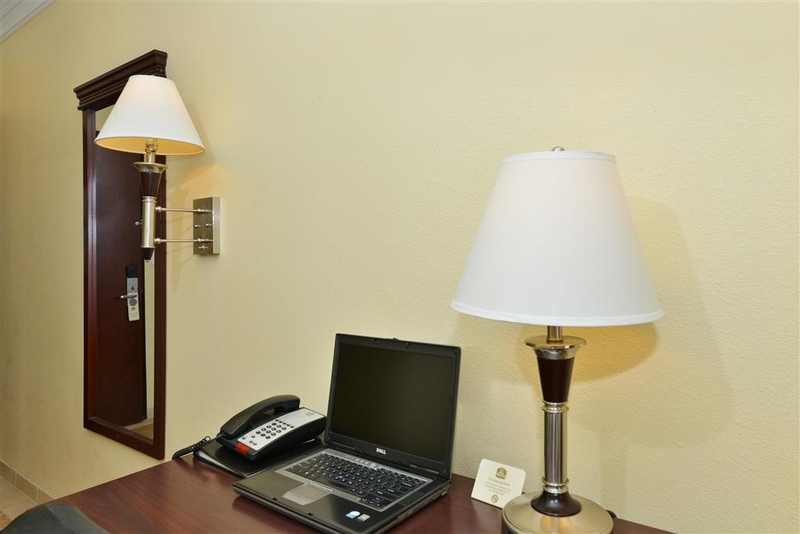 "Very clean, comfortable, and relaxing"
Great hotel for the average business person traveling through the area. 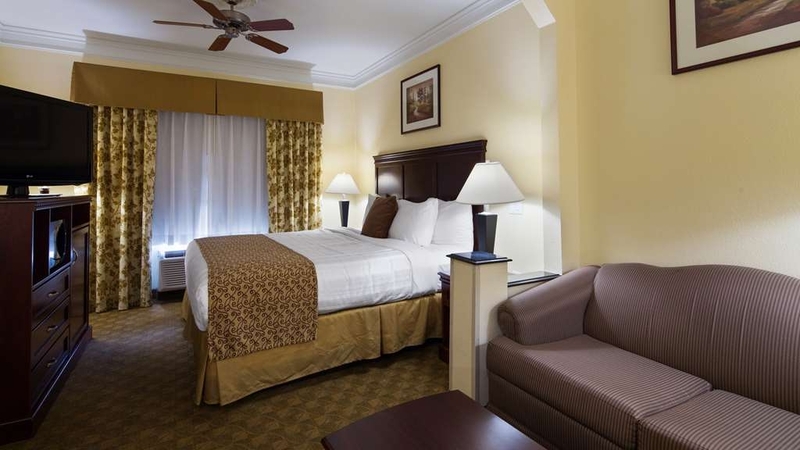 The staff was very friendly, the hotel was very clean, and the bed linens/pillow were great!!! Breakfast was typical and good. I would stay here again the next time I"m traveling through. Thank you for your gracious feedback. we are happy you were pleased with your stay and welcome the oppurtunity to continue to provide excellent customer care and comfort during your next visit. "Thank you for the excellent accomodations and food." 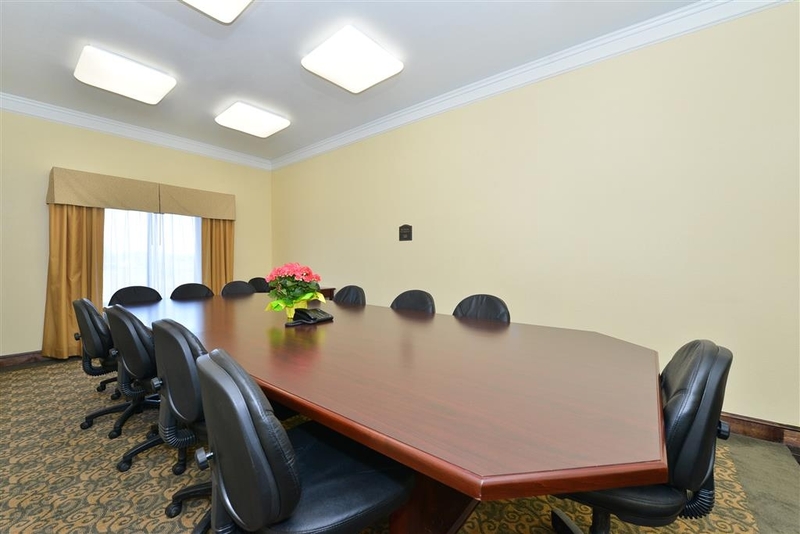 The room was clean and looked like it had recently been refurbished. Personnel were friendly and helpful. Food was average. Location was easy to find. We were on the second floor, so we did not experience a lot of noise. Nice enough building, and good clean rooms. Front desk staff had poor attitude towards helping me check in and out slightly outside the advertised times - they did not seem interested in being help ful. Thank you for taking the time to let us know about your experience you had here with us it is always a pleasure when our guest inform us on how we are doing. We apologize that you felt the front desk attendance did not help you with then checking in and out past the stated time. We strive to exceed everyone's expectations. If there is anything that I can help you with please feel free to reach out to me. Thank you again. 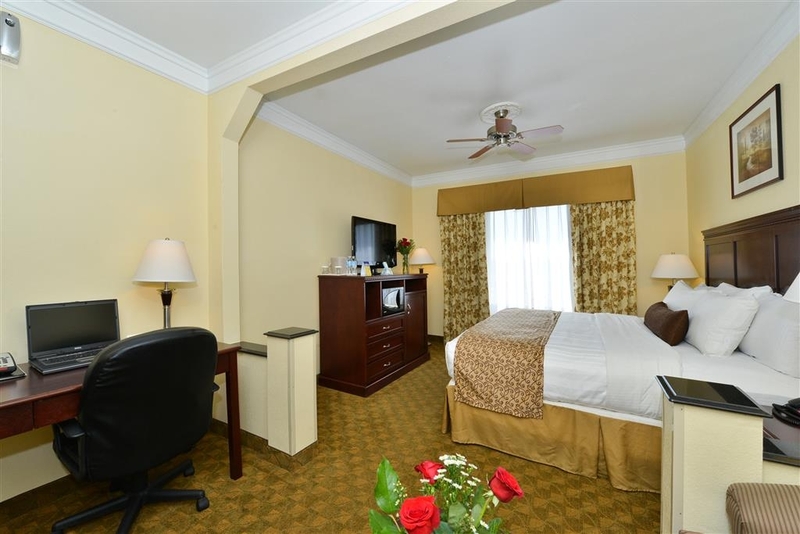 "Best stay ever at this Best Western"
Best staff, friendly staff, clean comfortable rooms. Affordable rates. Owners friendly and approachable. 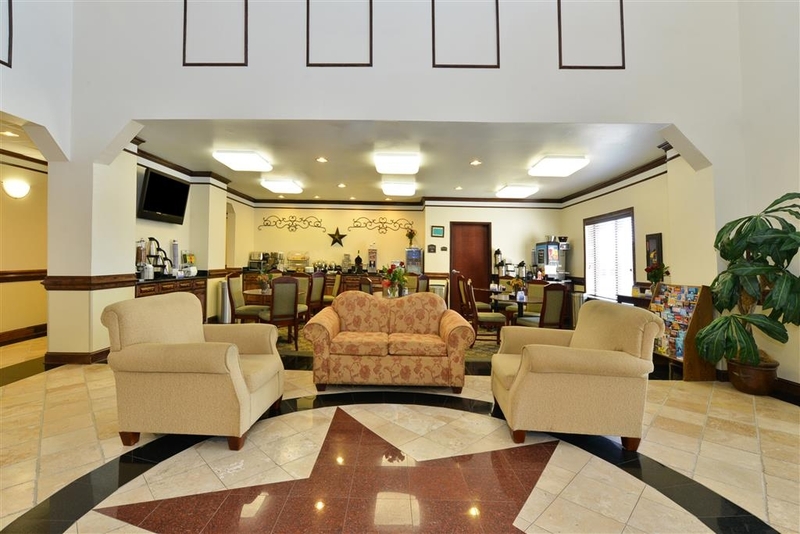 I would recommend this hotel to everyone that travels in this area for work or pleasure.The exterior is extremely well kept and is updated when needed. The hotel was very nice and the rooms were clean as you would expect in a new hotel. The breakfast wasnt very good but not a big deal. My only real complaint was the price of a room at this hotel i almost felt robbed but had a wedding to go to and was the closest to where i needed to be. "Great Hotel Skip the breakfast"
On the day of our stay the breakfast was not up to par with most hotels of the same quality. The eggs were runny and tasted bad. Milk was cool, not cold. The room was comfortable. Air condition worked well. This is the best hotel available when visiting or driving by Edna, TX. 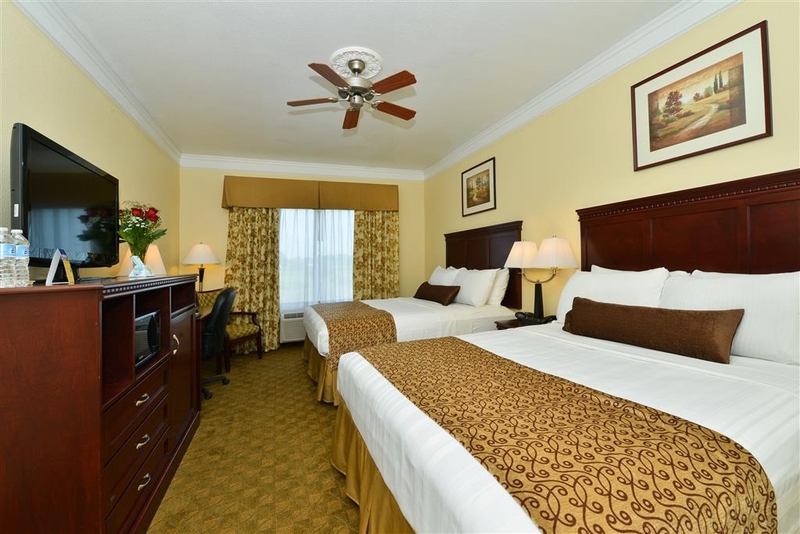 Rooms are very clean and staff is extremely helpful! I Love the comfort of the beds and pillows. We have also on occasion enjoyed the free breakfast! 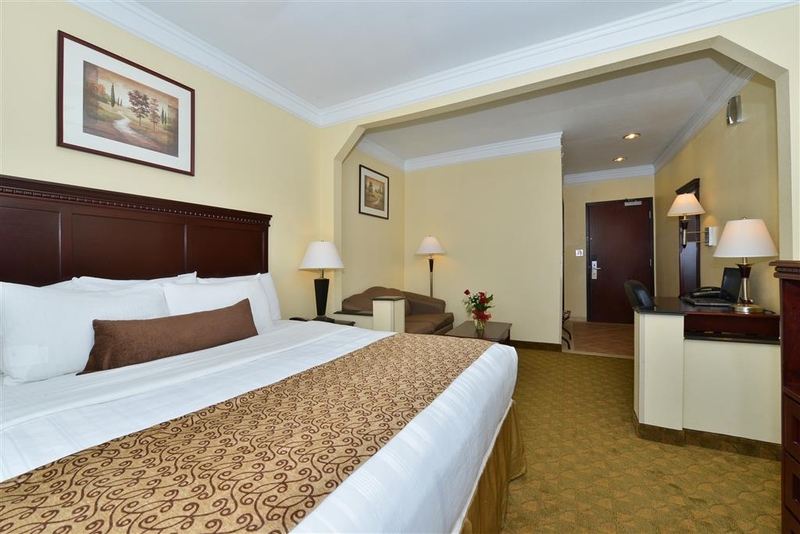 Very friendly staff, king suite was well appointed, comfortable bed. Easy access from freeway but quiet. Good place to stay for a reunion. Breakfast was typical with good scrambled eggs and potatoes, yogurt and water bottles available for the road. This is a do over when we need to visit Edna. "Good hotel, terrible check-in time"
We arrived ONLY one hour early and they wanted to charge us $50 for an early check-in! The check-in time was at 2 pm and we had to change and be at a wedding at 2 pm. I had talked to someone on the phone a week earlier and she didn't mention an early check-in fee, only that she couldn't guarantee the room would be ready by 1 pm. So we chanced it, got there early and they would NOT give us our keys. It's really infuriating. I had to change in their one stall hallway bathroom. Oh, and the bed was very uncomfortable and rock hard. Very clean and nice hotel. The check in/check out was quick. The room was clean and very comfortable. The only thing is that they charged my card $25.00 for incidentals, which I didn't have any, and 3 days after check out, the charge has not been credited. I looked at the website and I couldn't find anything about an incidental charge. This property should review their pets policy. We made reservations on line, checked in, and when told of the $250.00 pet fee, opted to cancel and find another hotel. We were informed that cancellations must be made with 24 hours notice.